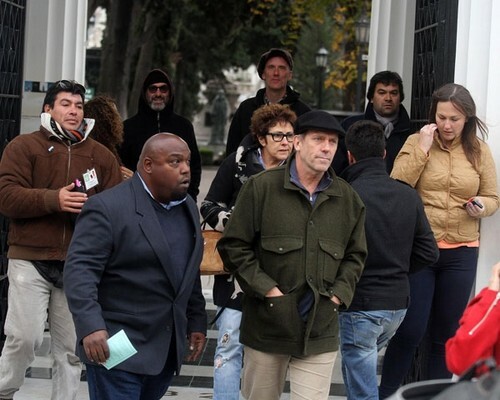 Hugh Laurie and Jo Green visiting Buenos Aires 06.06.2012 . . Wallpaper and background images in the Hugh Laurie club tagged: hugh laurie actor appearence public let them talk concert 2012 show blues. This Hugh Laurie photo contains business suit. There might also be well dressed person, suit, pants suit, pantsuit, dress blues, dress whites, street, city scene, and urban setting.